This tiny advertisement for the Maltby Power Air Pump for Steam Carriages is all that is currently known about this firm and its product. 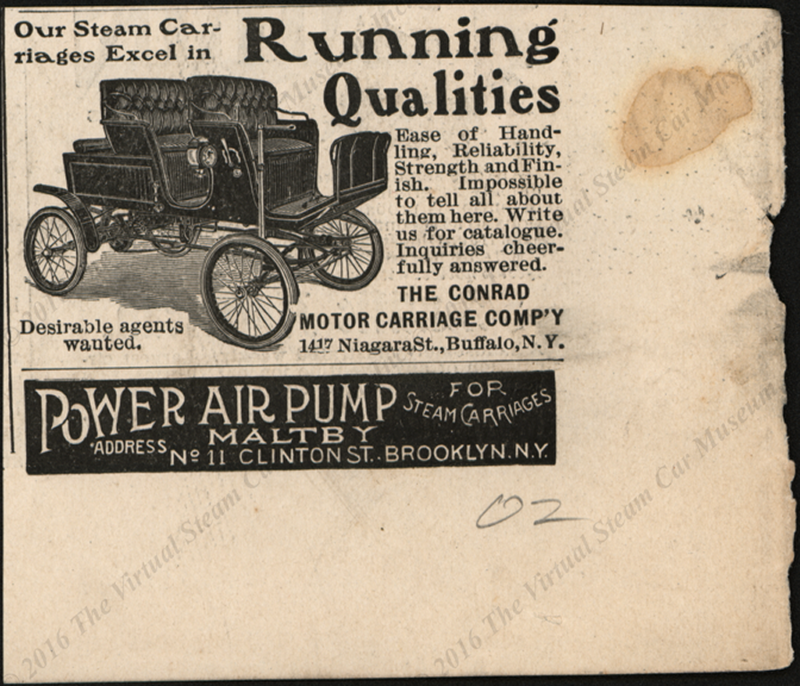 Placed under this Conrac Motor Carriage Company advertisement is a small advertisement for the Maltby Power Air Pump for Steam Carriages. Contact us if you have additional information about the Ogle and Summer Steam Carriage, or if you have questions.